Originally Published in DeneenBorelli.com on 9/1/14. One of the hallmarks of the political elite is being disconnected from their constituents. The more time they spend in Washington, D.C. the wider the gap between their priorities and the concerns of their constituents. One sure sign of an elected official’s detachment is when they get mired in a controversy over their home state residence. Astonishingly, Senators of both political parties have been challenged over where they really live. On the Republican side, former Indiana Senator Richard Lugar’s and current Kansas Senator Pat Roberts’ home state residences became part of their primary challenger’s campaigns. 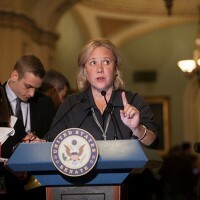 Now, Democrat senator Mary Landrieu is being accused of not having a real residence in Louisiana by one of her Republican challengers. Part of a strong economy, both at the federal and state level, is a functional and healthy workforce. When a significant portion of your population is incapable of securing employment, crime rates go up and government funds become more significantly strained. In Louisiana, fiscal integrity is going from bad to worse. Already, the state is facing the largest budget deficit in its entire history, at a whopping $700 million this year, and shortfall projections for next year reaching as high as $1.9 billion. However, in a misguided attempt to try to solve this behemoth of a problem, newly-elected Governor John Bel Edwards has proposed a massive package of tax hikes that affect all walks of life, from personal income to industry. What’s worse, if he has his way in imposing these hikes, the state residents could be feeling the brunt of the costs as early as April of this year. Clearly, Edwards isn’t fixing what ails the state. Have you ever heard of Shreveport, Louisiana? George Soros has and is evidently concerned enough about the outcome of a District Attorney's race in Caddo Parish to give $256,000 to a PAC in order to effect the outcome of this local election. The question for all of us across the nation is, why? ObamaCare's employer mandate isn't just a problem for businesses, it's also causing some major problems in public school systems around the country. This provision of the law requires employers, both public and private, with more than 50 full-time employees, defined as those working an average of 30 hours or more in a week, to offer health insurance benefits or face a punitive per worker tax. Victory for Louisiana School Vouchers? DC bureaucrats are attempting once again to interfere with the educational choice of parents. Do states have the right to direct education for the students that reside there? If the latest battle in Louisiana is any indication, some in the federal government won't be happy with anything other than invasion of your rights. School choice received a blow in Louisiana today when the Supreme Court deemed funding for vouchers unconstitutional. Last April, Governor Bobby Jindal expanded school choice, including scholarships offered for up to 5,600 students for the current school year. More than 10,000 students applied for 5,600 spots in private and religious schools this year, and were selected by a lottery. The program was set to be expanded next year with nearly 8,000 students approved for vouchers with more scholarships expected to be approved in June. Today Americans find themselves in the midst of a great crisis in our educational system. Parents across the nation are waking up with the realization that the promise of public education has failed to deliver.